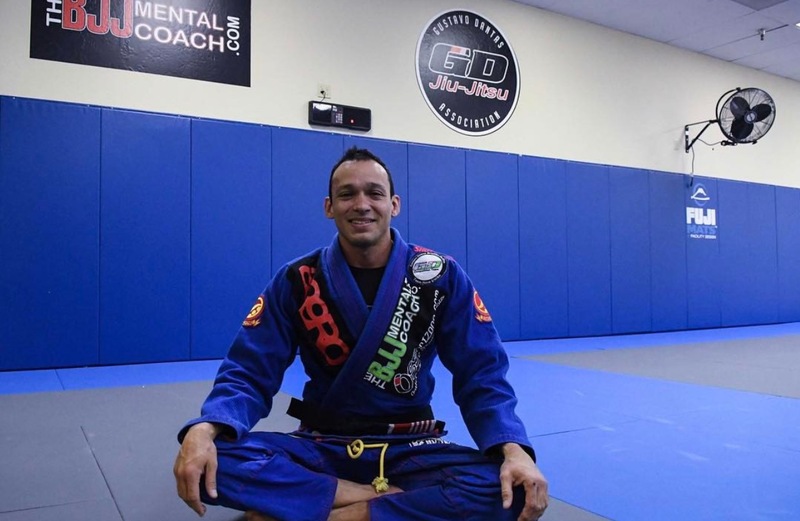 Today we’d like to introduce you to Gustavo Dantas. Thanks for sharing your story with us Gustavo. So, let’s start at the beginning and we can move on from there. This quote has been the theme of my life since my late teenage years. I was Born and raised in Rio de Janeiro, Brazil in 1974 and when I was sixteen years old I made a decision: “I want to make a living with my passion BRAZILIAN JIU-JITSU and one day open up my own Jiu-Jitsu academy to teach others”. When we are young we all have dreams, do you remember yours? Most importantly, were you able to fulfill it? Most likely, during your journey, some people who loved and cared about you, told you something like this: “It’s too hard…People don’t make money with this… I’m not sure if you can do it…” Did you listen to them or did you listen to your heart? Personally, I listened to my heart, I just wanted to be authentic to my desires. I had an idea that it would be a big challenge, by the way, it was a lot harder than I expected, but for some reason I had the feeling that a big opportunity would come out from this challenge. With my goal in mind I decided to join college in Brazil to study Physical Education since it could potentially help me in my career, which did in many different ways. I knew it would be a great challenge to balance school, my competition career and by them working teaching jiu-jitsu classes, BUT “If you’re looking for a big opportunity accept a big challenge”, which I did. When I was about to graduate in 1998 another challenge was offered to me, my first competition in the United States. It was a huge challenge because I had less than six weeks to get a passport, a visa to enter in the United States (which is not that simple), AND to raise the money, that I didn’t have, for the trip expenses. One more time I accepted a big challenge, hustled my tail off and made the trip to Nevada and California happen and it paid off big. I ended winning the competition, being one of the standouts of the tournament, and a HUGE opportunity showed up from this big challenge, the opportunity to start a new life in the United States. Currently in 2018, I live with my wife Charissa Dantas and my son Jonathan Dantas (17 years old) from my previous marriage. The academy has 350 members in a 7000 square foot facility in Tempe, Arizona with ten GD Jiu-Jitsu Affiliated schools in the United States. During my journey in the United States, I accepted many different challenges along the way. Prior to opening my academy, I was the Jiu-Jitsu coach of the Mixed Martial Arts Gym, Arizona Combat Sports for eleven years, where I achieved a 2-0 MMA Record. During that time, I started the mission of promoting Jiu-Jitsu in the State of Arizona, becoming the vice-president of the Arizona State Brazilian Jiu-Jitsu Federation and turning a small, 40 competitors, “in-house” tournament in 2001 to an impressive 800 competitors in 2018, helping Arizona to be recognized as one of the Jiu-Jitsu power houses in the United States. Besides an academy owner, event promoter, I am the co-founder of the non-profit organization Live Jiu-Jitsu, which aims to inspire positive change in the lives of impoverished communities through the study and implementation of Brazilian Jiu-Jitsu. I became a certified high-performance coach under the world renown Brendon Burchard, a public speaker and published author. I’m not describing all this to impress anybody with my achievements but just to convey to you that when you accept big challenges in your life, amazing opportunities can show up and change your life. Think about the biggest challenges you have accepted in your life…Even if the outcome you desired didn’t happen, the amount of growth involved in the process and the internal peace in knowing that you did your best you could with what you knew at the moment is priceless. During my forty-three-year-old journey, I did have some struggles and challenges along the way. One particular defining moment happened in Las Vegas on July 3rd 2000, which is the date my son was born. By that time, I was already teaching jiu-jitsu twice a week at my friends’ academy and also working side jobs like landscaping, painting and construction. I wasn’t doing well financially and I didn’t have a car. I would ride my bicycle a lot, I could barely pay my bills, so I had to make the decision to leave Vegas to pursue my dream in a different place and provide a better life for my family. I did have an offer to teach in Vegas in a different academy but I knew that If I stayed I would one day open my own academy and I would have to eventually compete against the person who opened the door for me and helped with my visa in the United States, my friend John Lewis, former UFC fighter and currently an actor in Hollywood. I was open to move anywhere and eventually a challenge was offered to me, to start teaching jiu-jitsu in a recently opened Kickboxing/MMA gym in Tempe, Arizona called Arizona Combat Sports. I accepted the challenge to visit the United States, followed by the challenge to move from Brazil to Las Vegas and then the challenge to move to Tempe. At first, I was full time on my living and not even part-time on my dream, but eventually I was part-time on my dream and after seven years finally full time. The three words that help me during this process and hopefully can help you in your journey is: FOCUS/DISCIPLINE/PATIENCE. If you have that for a long period of time, you will get it. GD Jiu-Jitsu Academy – what should we know? What do you guys do best? What sets you apart from the competition? Gustavo Dantas Jiu-Jitsu Academy is one of the most successful jiu-jitsu schools in the United States, and the numbers don’t lie. We have been produced nearly forty Adult World Championship medalists in the past ten years and students fly from all over the United States and the World to learn from the Academy in Tempe, but the thing we are the most proud of is how the academy has changed the lives of others by using Jiu-Jitsu (especially competition) as a personal development tool. As a certified Mental, Life and High Performance Coach we have been able to implement the concepts of my online program “Inner Discovery for Outer Success” in the academy. The program helps people to discover what is holding people back from performing to the best of their abilities and reaching their full potential on and off the mats of the academy or the competition. The benefits of this blend of Mental Skills Training and personal development includes students to: enhancing their performances, increasing enjoyment and gaining self-satisfaction in jiu-jitsu, which automatically can reflect positively on their personal and professional lives. I believe the World Class Jiu-Jitsu instruction plus working on the mental aspect of the art set us apart from other also very good schools. People have different perceptions about the meaning of the word “success”. For some people it could be fame or money, for others it might be great high paid careers (regardless enjoying the work or not)…To me Success is to live your life being authentic to your desires and in congruence with your values. I believe that if you are pursuing your goals and dreams, despite of your fears, doubts, anxieties, to live the life you want to live, truly doing the best you can with what you have right now, feeling happy and fulfilled, not wishing you were doing something else, and you’re also living in congruence with your values, I believe you’re successful. 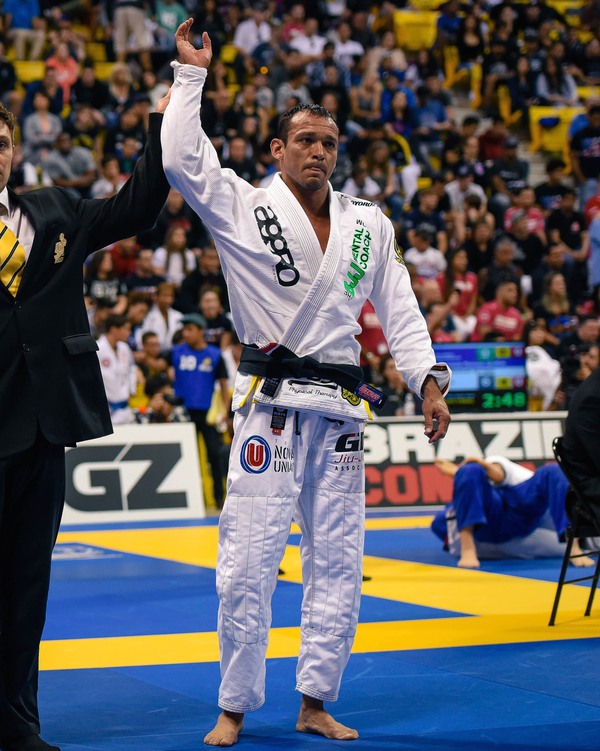 – 2014 UAEJJF Abu Dhabi World Pro Jiu-Jitsu Champion (Black/Master 2/feather), Abu Dhabi, U.A.E.